Rochester Community and Technical College (RCTC) is the oldest public two-year college in Minnesota. The junior college was created on a motion by Dr. Charles Mayo in 1915 and classes were offered downtown in the Coffman Building. The College moved to its current campus during the summer of 1968. A year later the vocational technical institute was created with 15 program offerings. 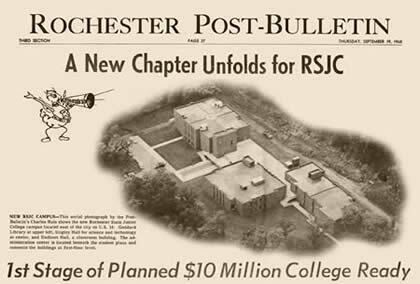 Rochester Community and Technical College was established on July 1, 1996 when legislation required state community colleges and technical colleges co-located in the same city be merged into a consolidated college. Rochester Community and Technical College is a member of the Minnesota State system, which comprises 24 two-year colleges and seven state universities serving the higher education needs of Minnesota and is governed by a Board of Trustees. Minnesota State (an agency of the state of Minnesota) is dedicated to providing students with a wide array of opportunities for lifelong education in both technical and academic fields, ranging from short-course certificates to the master’s degrees. Minnesota State’s 54 campuses in 47 communities throughout the state offer tremendous opportunities for students to achieve their goals. The college enrolls approximately 12,000 students annually in credit-based programs. Another 11,000 are served in noncredit and credit-based workforce initiatives. The faculty consists of more than 178 highly trained permanent employees and approximately 160 adjunct instructors. In addition, over 230 professional staff enhance the educational experience, including 10 full-time administrators. Rochester Community and Technical College offers 70 credit-based programs with more than 130 credential options in the areas of liberal arts, allied health, business, services, and technical career pathways. The College’s largest programs include liberal arts, nursing, allied health, and business. A variety of delivery approaches are utilized to support student learning. These include face-to-face, online, internships, on-the-job training, clinical, cohort, and interactive television. RCTC is among Minnesota State’s largest generators of online learning credits in the system which now accounts for nearly 19 percent of credits sold. A variety of educational partnerships are also in place to provide learning opportunities for our students. These include diverse articulation agreements with other higher education providers and affiliate programs with the Mayo School of Health Sciences. In addition, students wishing to finish a four-year degree can take their first two years at Rochester Community and Technical College-earning an associate degree-and then transfer to finish a bachelor’s degree. The College has teamed up with Winona State University Rochester to establish the “Path to Purple” program that allows students to complete their first two years at RCTC to earn an associate’s degree and then complete their last two years at WSU to attain a bachelor’s degree. In addition to its educational programming, RCTC offers a comprehensive student life program. These opportunities include social activities, speakers, varsity athletics, intramural sports, honor societies and music, to name a few. Four buildings were ready for use when the college made its 1968 move to the forested hillside about a mile east of the city. The structures included Goddard Library and classroom buildings; Endicott Hall for technology and business classes; the Charles Singley building, housing all chemistry, biology and physics labs, as well as lecture halls; and the Administration building, which then held administrative offices and the college bookstore. The next additions to the campus were Rockenbach a gymnasium/physical education complex, and Plaza West, which now contains faculty offices, numerous classrooms, the student newspaper office and a 200-seat lecture hall. The campus continued to grow with three more additions marking the next phase of construction. A student services building housing the administration offices, the counseling center and a health service area was first. The art building came next, representing one of the most outstanding studio facilities of its kind in the upper Midwest; an immense north window in the structure provides proper lighting to three floors of studios. The Plaza East building completed this segment of construction. It provides a versatile nursing lab and staff offices. The next two major projects were the College Center and theater. As the student union, the Center is aptly named, since it is at the center of students’ lives here. The college theater is one of the finest such facilities in southeastern Minnesota. It seats 350 persons and contains advanced electronic and sound systems, as well as a complete scene-making shop and dressing rooms. In 1987, it was named Hill Theater in honor of retired RCC President Charles E. Hill, who served the college from 1953 to 1982. A classroom building opened on the campus in the fall of 1986 to initially house the Rochester Center of Winona State University at a cost of $2.9 million. The Plaza West building was renamed Memorial Hall in 1988. Plaques and portraits are placed in this building to honor former college staff. The campus further evolved in late 1989 with the completion of a $16 million construction project. The project included remodeling of the library, the administrative building, and the lower level of the Goddard Building, which housed the business office, bookstore, Student Support Services Program and the duplicating services area. New construction included a continuing education area featuring spacious conference rooms and state-of-the-art equipment, and a separate building to house the childcare center. Construction was completed in 1993 on the $17 million expansion facilities, which houses student services areas, classrooms, computer and science labs, as well as a number of interactive television classrooms. With the completion of the new facilities, the University of Minnesota Rochester joined RCTC and WSU Rochester in a single physical location. The University of Minnesota later relocated to its own downtown facility in the fall of 2007. 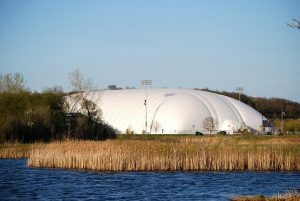 The Rochester Sports Center facility (a collaborative effort between RCTC and the City of Rochester) was opened in May of 2002, and the Technology Center remodeling was also completed in 2002. In 2007 the former Rockenbach Gymnasium was renovated into the Health Science Center, a state-of-the-art facility housing the allied health programs for both RCTC and WSU-R. The latest athletic campus development includes the Rochester Regional Stadium, which includes an artificial-turf winter domed facility making it available for use year-round. The Stadium originally opened in 2008, but was expanded in 2015 to include additional seating to accommodate up to 5,000 spectators. The original buildings located at the Heintz Center were completed in 1969. Additions were made in 1976, 1978, and 1979, which doubled the size of the cafeteria, added classrooms, and expanded shops for the technical programs. The Horticulture Technology Center was added to the existing buildings in 2002 to provide academic and community resources in a horticulture facility. Intercampus roads were also completed in 2002, connecting RCTC east buildings and RCTC west buildings (the Heintz Center), and included the first roundabouts in Minnesota. 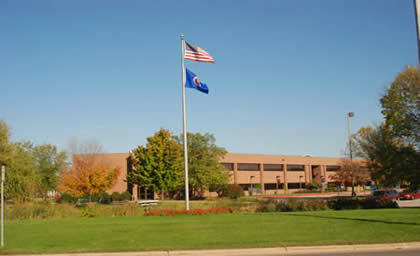 The former Minnesota Riverland Technical College-Rochester Campus facility was dedicated as Heintz Center on May 9, 1997. The building was named after Dr. Emil Heintz, founder and first Director of Rochester Area Vocational Technical Institute. Dr. Heintz served as Director from 1966 to 1973. 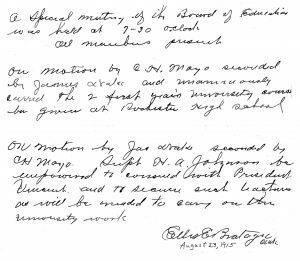 Dr. Heintz had served as Dean (CEO) of Brainerd Junior College from 1938 to 1944 and Dean of Rochester Junior College from 1944 until 1966. Heintz Center is located at 1926 College View Road. Most recently, the Heintz Center underwent additional expansion with the addition of a Workforce Center that opened in the Fall of 2014, and the CTECH/STEM Village building, also funded through local sales tax funding, opened in August of 2016. The RCTC Heintz Center is located at 1926 College View Road.